164 pages | 21 B/W Illus. Score reporting research is no longer limited to the psychometric properties of scores and subscores. Today, it encompasses design and evaluation for particular audiences, appropriate use of assessment outcomes, the utility and cognitive affordances of graphical representations, interactive report systems, and more. By studying how audiences understand the intended messages conveyed by score reports, researchers and industry professionals can develop more effective mechanisms for interpreting and using assessment data. Score Reporting Research and Applications brings together experts who design and evaluate score reports in both K-12 and higher education contexts and who conduct foundational research in related areas. The first section covers foundational validity issues in the use and interpretation of test scores; design principles drawn from related areas including cognitive science, human-computer interaction, and data visualization; and research on presenting specific types of assessment information to various audiences. The second section presents real-world applications of score report design and evaluation and of the presentation of assessment information. Across ten chapters, this volume offers a comprehensive overview of new techniques and possibilities in score reporting. "For tests to be used most effectively, there must be a dialog between those who develop and administer tests and those who use the test scores to substantiate claims. Score reports are one-half of this dialog—missives from the former to the latter. 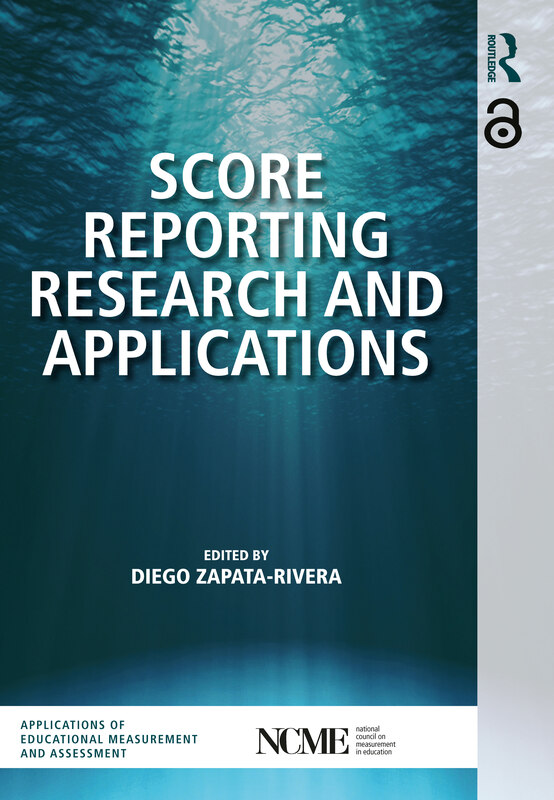 Score Reporting Research and Applications is a must-read compendium of the challenges faced by those who prepare such reports and of practical solutions to those challenges. This volume leaves us ready to begin the second half of the conversation: how developers can improve tests by responding to users’ needs." Diego Zapata-Rivera is Principal Research Scientist in the Cognitive and Technology Sciences Center at Educational Testing Service, USA. He is a member of the Editorial Board of User Modeling and User-Adapted Interaction and Associate Editor of IEEE Transactions on Learning Technologies. The NCME Applications of Educational Measurement and Assessment series includes edited volumes designed to inform research-based applications of educational measurement and assessment. Edited by leading experts, these books are comprehensive and practical resources on the latest developments in the field.